bible prophecy | Does Christianity Make Sense? In order to prove that the Bible is the Word of God, divinely inspired by Him one would have to prove that it’s message originated in eternity, transcending time and space as we know it, the product of an infinite mind. One way in which we can see evidence of this is in the use of “Macrocodes” and “Microcodes” throughout the biblical text. 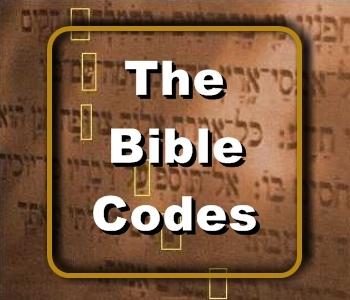 By using these codes throughout the Bible, God has shown that it is much more than just an historic account of the nation of Israel and the story of the redemption of the human race and the restoration of His kingdom on earth. Macro-codes are large-scale elements which include literary devices such as Allegories, Metaphors and some Prophetic Passages. As far as the prophetic macro-codes are concerned the Jewish perspective on prophecy is more than just foretelling the future and seeing it come to pass. The Hebrew mind sees pattern in the prophecy as well. For instance, the offering of Isaac by his father Abraham foretells of the offering of Jesus Christ by His Father, God for the sins of humanity. The entire book of Ruth is prophetic in nature, depicting in types and shadows the relationship between Jesus and His Bride, the Church. Naomi represents Israel, Ruth is the Church, the Gentile Bride and Boaz is a type of Christ , the Kinsmen Redeemer. A full one-third of the Bible is prophetic in nature. It simply cannot be compared with any other literature, religious or otherwise. For a prophetic Macro-code to fail someone integral to the narrative has to disobey God. For instance, Moses disobeyed God when he hit the rock instead of speaking to it, like God instructed him to. In so doing, he grossly misrepresented God and messed up the prophetic symbolization God wanted to demonstrate and for this, Moses missed entering the promise land as just punishment. Micro-codes are small-scale text-based elements like Acrostics and the Equidistant Letter Sequences popularized by Yacov Rambsel and Grant R. Jeffrey. The Equidistant Letter Sequence is applied by consistently counting a specific number of letters from a particular point in a sentence and recording the letter after each interval. All the captured letters are then placed one after the next, spelling out a significant word or phrase. When counting, the letter interval may be every 7 letters or every 20 letters or every 2nd letter, for instance. Using ELS we find that Genesis chapter 2 also contains the encoded names of every tree mentioned in the entire Old Testament. Again, this same chapter also contains the encoded names of every animal mentioned in the entire Old Testament. Embedded in that same text are the names of seven species of seed-bearing fruit: Barley, Wheat, Vine, Date, Olive, Fig, and Pomegranate. Finally, Isaiah 53:10 is a prophetic passage about Jesus’s atoning sacrifice for sin. Mathematicians calculated the probability of this occurring randomly and found it to be 1 chance in 50 quadrillion, in other words… impossible! 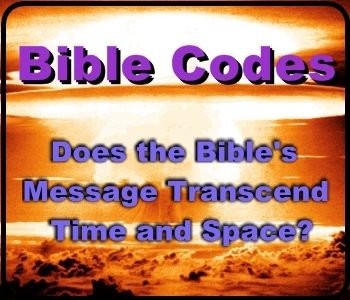 The bottom line is, both Macro-codes and Micro-codes in the Bible convey design. If there is design, there must be a designer. Design by nature can’t happen randomly. This is irrefutable proof that the Bible is indeed divinely inspired. When we consider the Bible Codes and see the clear evidence of design it tells us that the Bible is much more than mere eye witnesses accounts and the recorded preaching of God’s Messengers. Consider this, if one single letter is out-of-place in an entire chapter every dependent ELS Code will fail! It is believed by Jewish Rabbis that God gave the Torah – First 5 Books of the Bible – to Moses letter by letter! In any case, the specific design displayed throughout the Bible leads one to conclude that God guided the Bible writers on precisely what to write and how to write it. Conclusion: The Bible was not written by men but God himself wrote it merely using men to record the precise message He wanted mankind to have.